The new small platform 862kg (1900lb) rated operating capacity JCB 190 vertical lift skid steer incorporates our unique single boom and side entry design. Designed for comfort, safety, economy, productivity and durability in the USA (home of skid steer loaders), the 190’s 46kW (62hp) JCB Diesel by Kohler engine is tried, tested and proven. The 190 has on average 60% better visibility and a 46% larger cab than rival manufacturers’ skid loader designs, and there are a whole host of other benefits too. Like ergonomic controls, an extremely tough powerful boom and a low cost of ownership. Keeping your operators fresh, focused and productive is paramount, which is why we’ve designed the 190 skid steer with a 46% larger cab than the nearest competitive machine. Our standard seat has mechanical suspension and there’s also a 12V charger, easily readable control panels and an electronic hand throttle. Electric controls make handling smooth and intuitive; all in all, we like to think that JCB 190 skid steer loaders are a comfortable favourite with operators. There’s no more productive skid loader than the JCB 190. The figures speak for themselves: it has a 16% lower cost of ownership than the top competitor, a better SAE service rating, an annual fuel savings of over 2450 litres* and a heavy-duty crowd ram that’s nearly 3 times the size of the nearest major competition. There’s a standard mechanical quickhitch and auxiliary couplers on the PowerBoom too. In short, it’s as productive as skid steer loaders get. We’ve designed the JCB 190 skid steer to be serviced easily, ensuring minimum downtime. Firstly, we mount our engines longitudinally for easy access to the drive belt and associated components. There are also 30% fewer grease points than conventional vertical lift twin arm skid steer loaders. 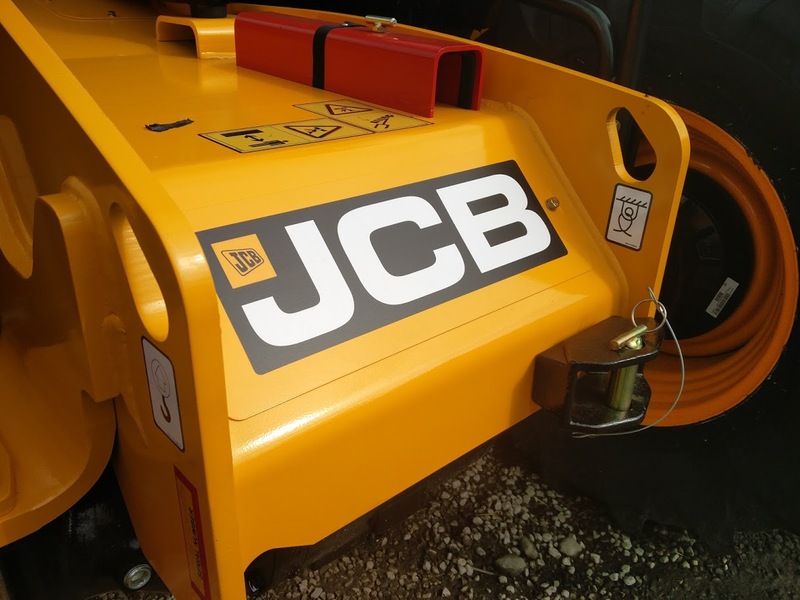 So it’s no wonder the JCB 190 small platform skid loader is on average 21% more serviceable than competitors’ machines, based on SAE Service Audit Scores. And there’s more too.